Students who attend live training are 300% more likely to be successful than those who consume training solely through online training or home study courses. The 5 critical steps to success in real estate and any business. How to apply those 5 steps on both the buying side of the business as well as the selling side. You'll know how to prescreen callers in seconds so you're only dealing with prospects, not suspects who want to eat up all your time. How to make money on houses even when you're paying close to full retail price! We will have a Mentor there calling leads you bring to class, so it's quite possible you could leave with a deal. No promises, but it happens at every one of these we hold. Come spend a day with the Master. How to find FSBOs for the best deals eliminating the need for the MLS. How to structure private money with no payments and where to get all you need quickly and easily. How to find and screen your selling agent, mine will be present. How to set the sales price and get 10% more. 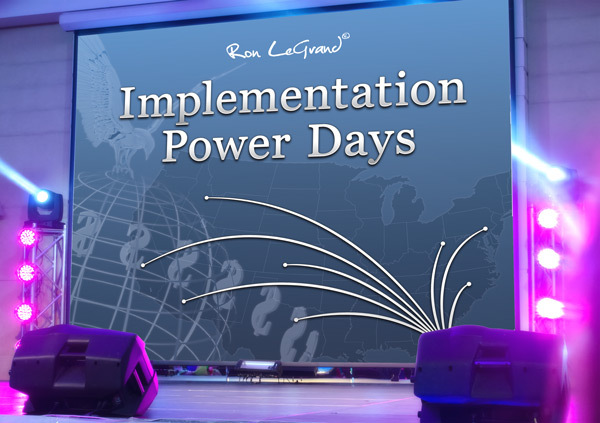 Implementation Power Days is a 2-day, intimate, hands-on workshop that focuses exactly on what the name implies, Implementing. 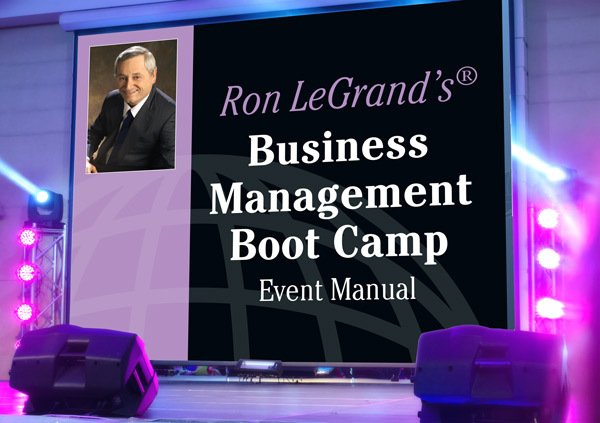 Ron’s team will take you step-by-step through DREAMS (your buyer/seller database, deal hub, and marketing hub) so you can get organized, simplify and make more money. 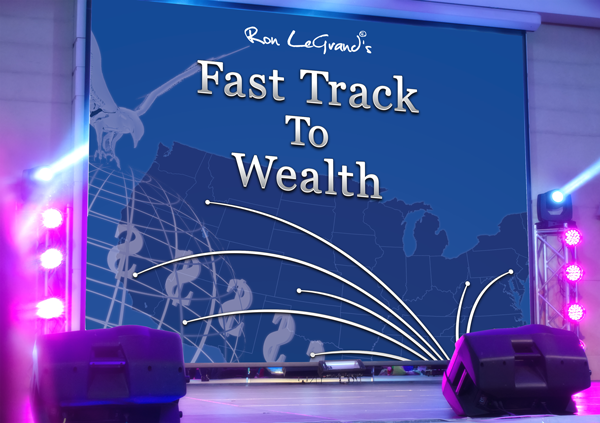 You’ll have your systems up, running and automated before you leave so you can run your business so like Ron’s six- and seven-figure earners. And then, after the event is over and you go home, you don’t have to worry about being on your own. We’ll leave no man or woman behind with access to the DREAM team and your peers in an exclusive Facebook group. 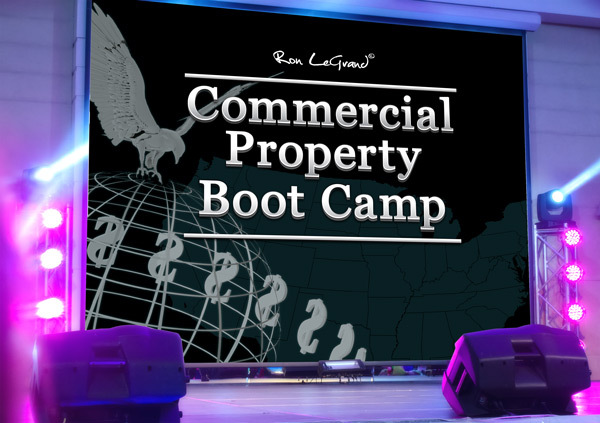 Commercial Property Boot Camp is a 4-day, hands-on training that includes a deal-a-thon taught by Ron LeGrand. 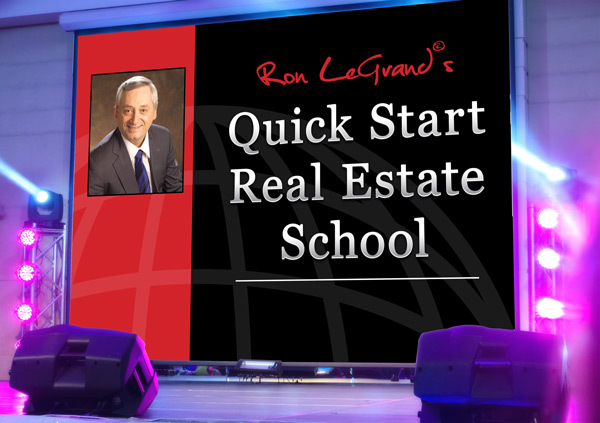 It's like Quick Start Real Estate School, but for Commercial Properties. 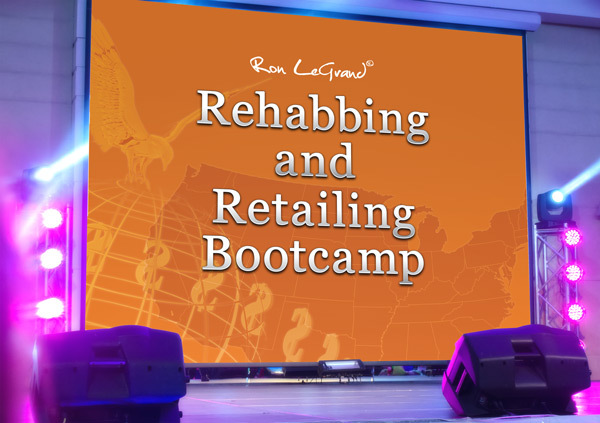 You get to learn from years bumps and bruises and costly mistakes Ron has made over the years so you can avoid them.